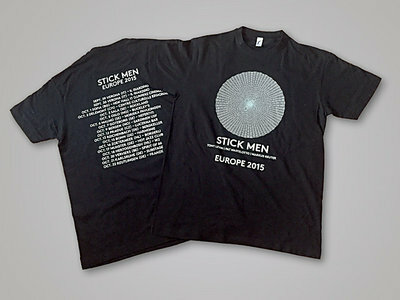 Due to popular demand we're making the remaining T-Shirts from the recent Stick Men Euro Tour available for everybody. At 10 EUR plus shipping this should be a steal. We have sizes M, L, and XL available, durable white print on high quality black shirt. All shirts are in perfect condition.